Manuel Barraza Torres, 49, went to be with our lord on Friday, April 5, 2019. 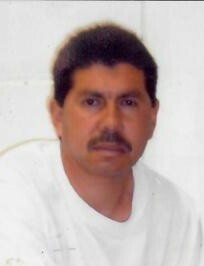 Manuel is predeceased by his beloved nephew Jesus Felipe Barraza. Manuel is survived by his wife of 32 years Graciela Barraza, mother and father Matilde Barraza and Arturo Barraza, sons Manuel Barraza, Luis Barraza, Oscar Barraza and Javier Barraza, brothers Arturo Barraza, Juan Barraza and Lorenzo Barraza, grandchild Misael Barraza, and cousins Miguel Barraza and Ramon Barraza. Manuel Barraza Torres' Life Celebration will begin with a Visitation on Friday, April 12, 2019 from 3:00 p.m. to 6:30 p.m. at Salazar Mortuary located at 400 Third St SW 87102. Rosary will begin at 7:30 p.m at San Martin De Porres located at 8321 Camino de San Martin SW 87121. Mass will be held on Saturday April 13, 2019 at 12:30 pm at San Martin De Porres. Graveside Service is to follow Mass at Sunset Memorial Park located at 924 Menaul Blvd NE 87107. Pallbearers will be Manuel Barraza, Luis Barraza, Oscar Barraza, Javier Barraza, Miguel Barraza and Ramon Barraza. Honorary Pallbearers will be Arturo Barraza, Juan Barraza and Lorenzo Barraza.